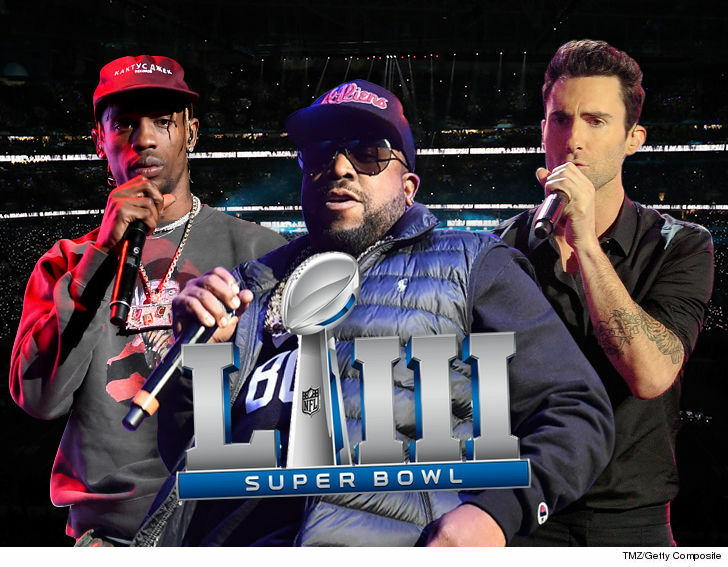 It’s official … Maroon 5 are headlining Super Bowl LIII, and they’ll be joined by the likes of Travis Scott and Atlanta hip-hop legend Big Boi. We broke the story … Travis signed on to perform for Super Bowl 53 late last month, despite tons of backlash from the African-American community. The Big Boi announcement didn’t come as a total surprise. We knew organizers were scrambling to snag either him or Cardi B. Looks like they went with a homegrown artist for the big game that’ll be played in ATL this year.